An Indian wedding ceremony is always incomplete without a sangeet function. In fact, it is one the most fun and frolic filled event in anyone’s marriage where everyone rejoices with dance and songs. But the enjoyment goes in vain if you are not dressed up and ready to rock, right? 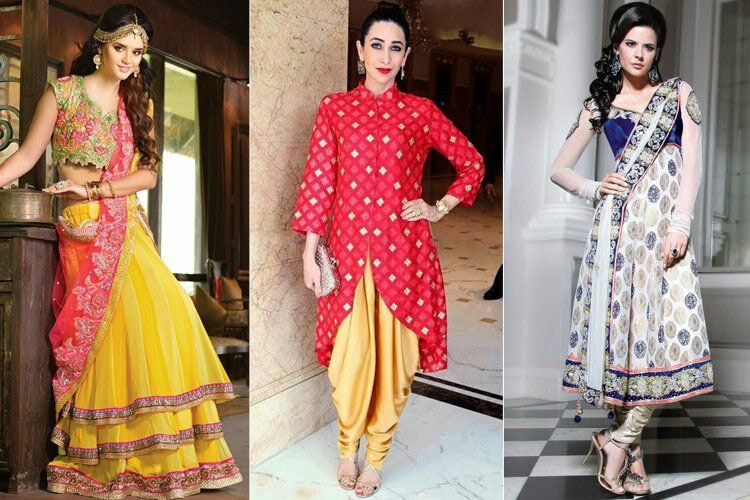 So if you are a bride-to-be or bride’s closed one then here are some the outfits which are the must-haves in the wardrobe of a hostess. 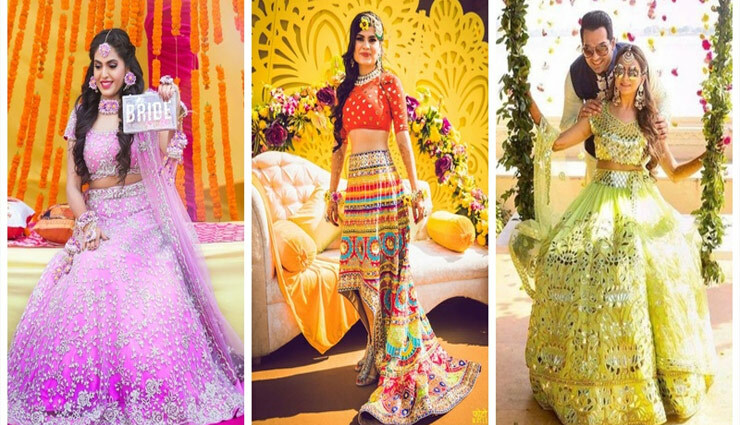 Bride or a bridesmaid; lehenga is an evergreen fashion which completes the sangeet. But now the trends have changed, if you team a lehenga with a crop top or a heavy embellished kurti it will help you to stand out at the event. Ever since actress Prachi Desai wore it her film ‘Bol Bachchan’, dhoti pants are ruling the markets. Add a twist, you can style it with a long jacket or a crop top and a cape jacket to make a bold statement. Gowns are something which always creates a style statement all over the wedding season. Fashion markets are flooded with the different variants of the gowns like the Anarkali gown, Saree gown and Cape gown. Anarkali gowns are floor length with the kalis while Saree gown looks like you’ve draped a saree but the silhouette is of a gown. Cape gowns give you a royal look and are easy to style. Another one of the trendy styles – Pant style sarees, wherein you can team it up with a frilled sleeves blouse or a crop top. Here the saree is been draped on the ankle or a straight pant. Just recollect the sensuous look which former Miss Universe – Sushmita Sen had donned. She styled a kanjeevram saree on a pant for ace fashion designer Sunita Shanker and RmKV silks in LFW 2018. In an enthusiasm to enjoy the function wearing those heavy outfits, people forget to develop an ease for themselves. Opt for comfy flats or sandals with heavy looking jewelry but lighter outfits to enjoy at your fullest.